Shizuoka is the capital of the eponymous prefecture, located halfway between Tokyo and Kyoto on Honshu island. 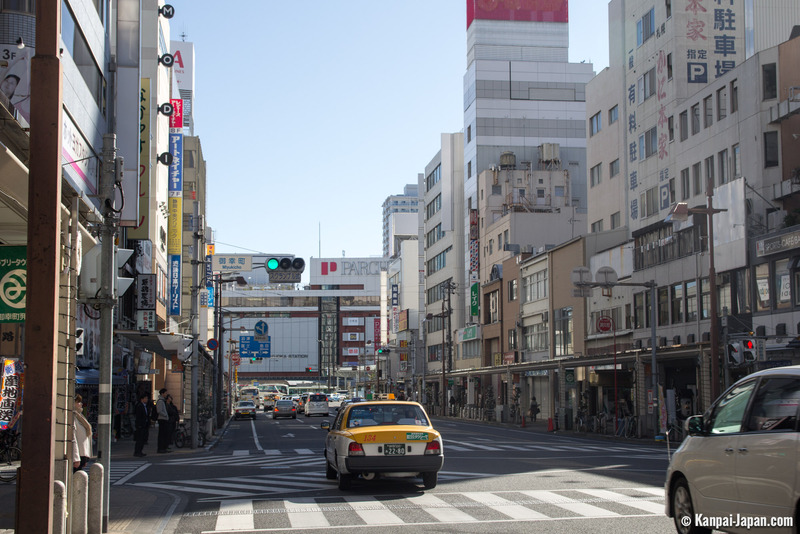 Provincial city with a quiet allure, it keeps the marks of Shogun Tokygawa Ieyasu’s reign. Its touristy activity is focused on the surroundings of its main train station, and then by going towards the Pacific coast. 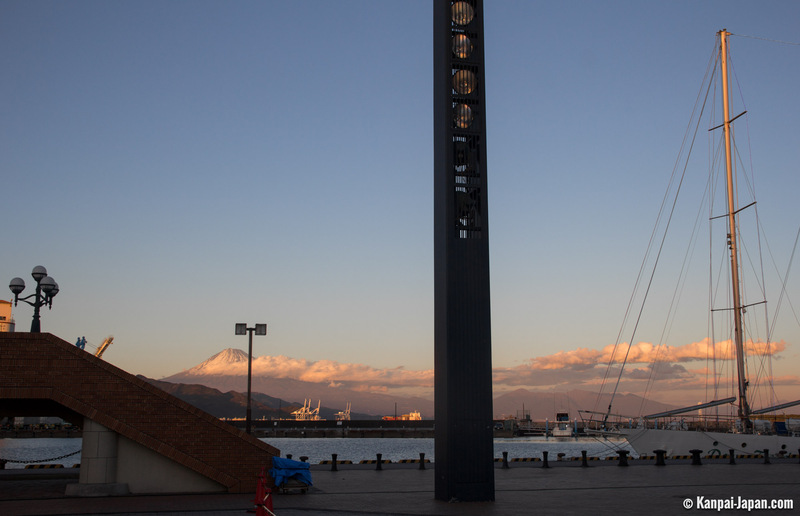 When the weather is clear, Mount Fuji can be seen in the background. 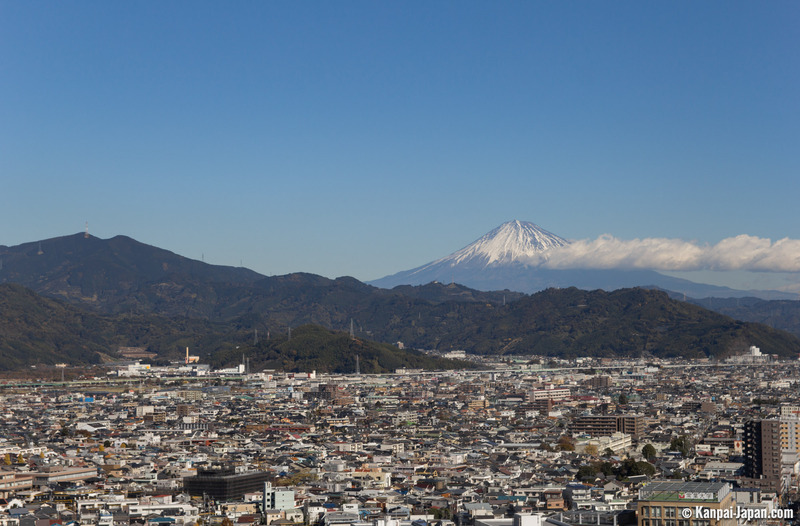 Shizuoka is associated at first with its prefecture, its numerous hilly tea fields overlooked by the Fuji-san, but we should not forget the city nested between the Southern Japanese Alps and the ocean. Very convenient to access from the Tokaido route, it has a long story. It saw the future Shogun Tokugawa Ieyasu growing up, spending a large part of its childhood in Sunpu, Shizuoka's former name. Marked by these young moments, he also asked to spend his last years there. Today, travelers can visit Sunpu Castle Park and the gleaming Kunozan Toshogu Shrine, the first mausoleum to its glory, before its remains were moved to Nikko. 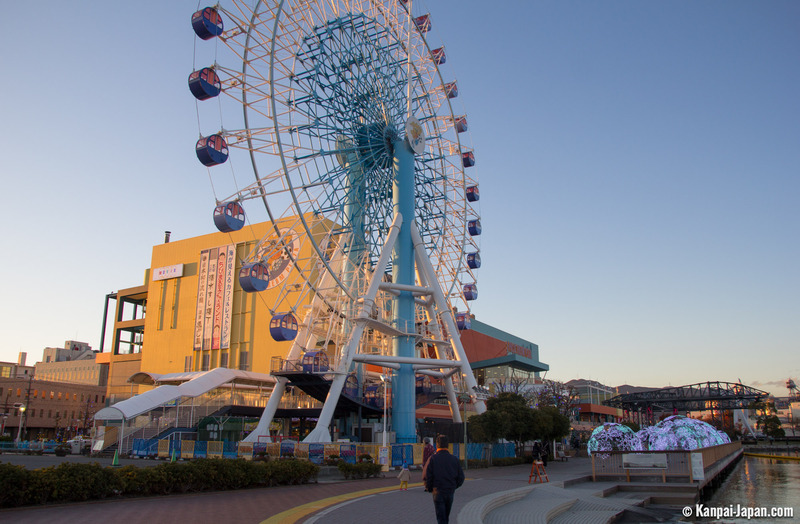 Besides the stigma of the past spread here and there between the city center and the marina coast, Shizuoka is a provincial city with a more relaxing atmosphere than Tokyo, but with all the necessary commodities. 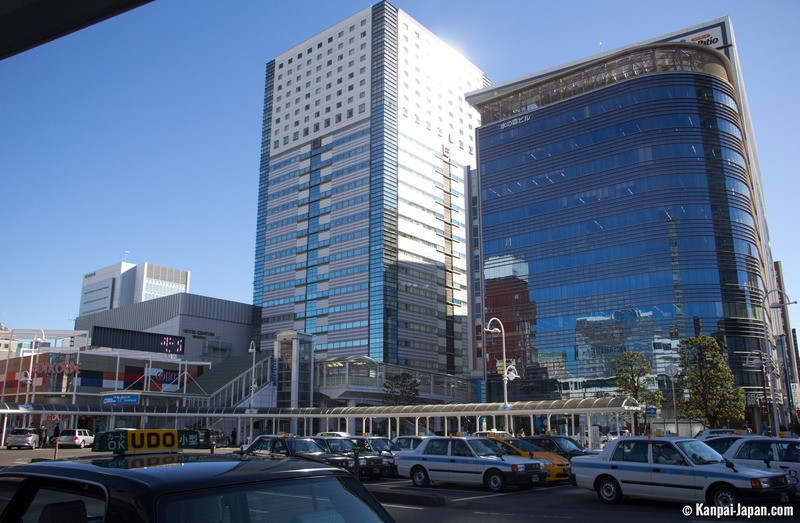 The Shinkansen train station surroundings welcome a lot of Western-style hotels and its adjacent streets are busy with daily animation: cafes, restaurants and shopping stores. 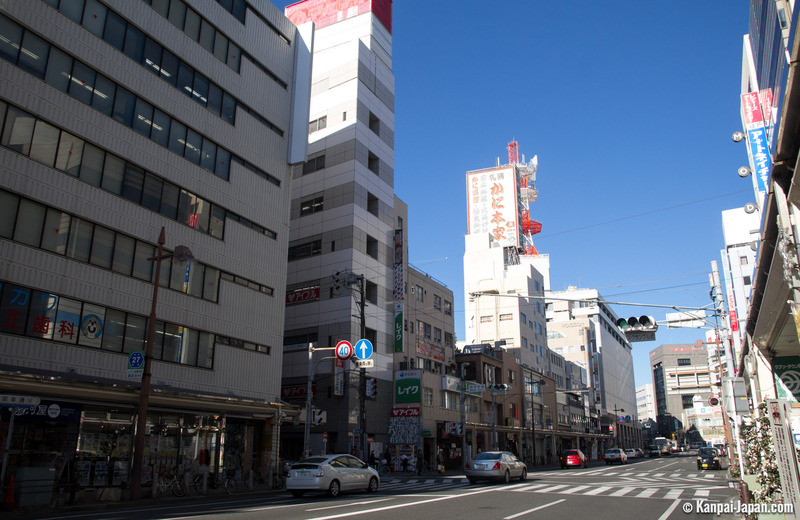 We recommend to take the Sengen Dori shopping street, overhung by a torii and located fifteen minutes walk away northwest of the station. It ends up in Shizuhatayama Park. Set on a hill, it is home to many cherry trees and Shinto shrines such as Shizuoka Sengen. Its peak offers a gorgeous view on the city to hikers, thus creating an ideal spot for a spring picnic. 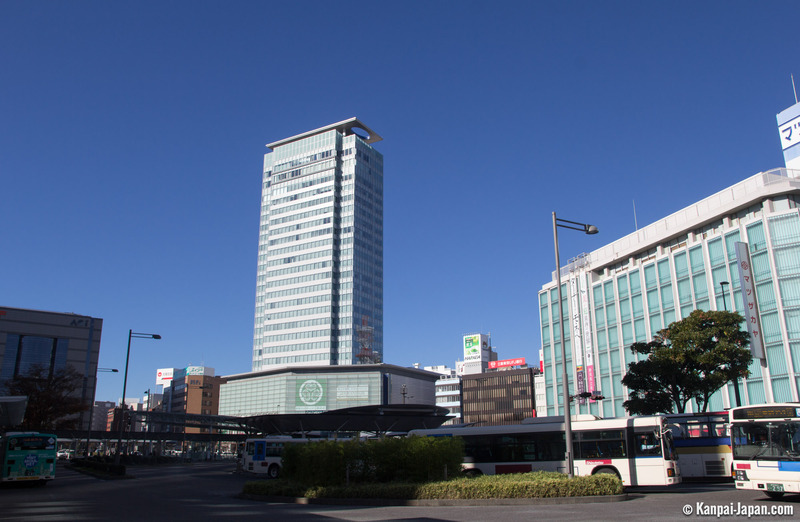 Recently enlarged, the prefecture’s capital counts in reality two city centers: around Shizuoka station and also around Shimizu. 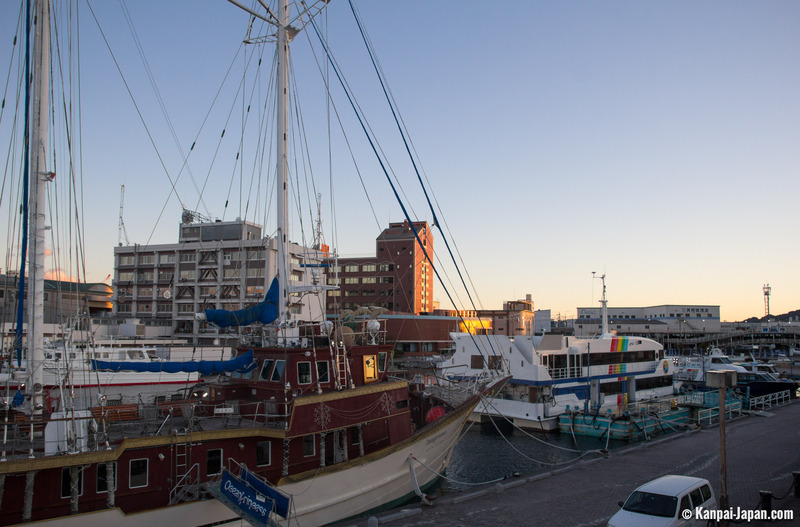 This former fishermen village is characterized by its industrial port and malls. Sort of a tiny local Odaiba, this district lacks charm and originality, despite its view on the sacred mountain between two sailing ships or two industrial buildings. Its main touristy interest is set in the freshness of its sea products, directly sold to the Kashi-no-Ichi fish market, or served in one of the nearby sushi restaurants. The real must-see of the city is a landscape: Miho no Matsubara beach, located along Suruga Bay. A pine alley, some centenary, leads to a large black sand beach, topped by a gorgeous view of (again) Mount Fuji. Artists know about it as this place has been depicted in the 19th century by master Katsushika Hokusai. One problem can be noted: the frequency of municipal buses, not very punctual, which can slow down some day tours. For those willing to easily discover coastal areas such as Kunozan Toshogu, we recommend to get a taxi or rental car. It is not necessary to spend the night there: the neighbor Hamamatsu seems more pleasant, just like the northen part of Izu Peninsula, less than one hour away. A long excursion day from the capital city can also be considered. Further down this page, discover our visit guide in Shizuoka and around.